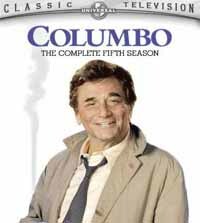 Fans of the work of Patrick McGoohan will be pleased to hear that Season Five of the long-running TV series "Columbo", starring Peter Falk, will be released on June 27th 2006. McGoohan was involved with several episodes over the years, and two are included in this DVD set. The set features all 6 episodes from the season. Episode 2 is "Identity Crisis", which starred McGoohan as top Government operative Nelson Brenner. The episode was also Directed by McGoohan, as was "Last Salute to the Commodore", which is the 6th episode of the series. You can pre-order from Amazon by clicking HERE.